Elisabeth Moss returns to television in this Hulu adaptation of Margaret Atwood's dystopian drama. 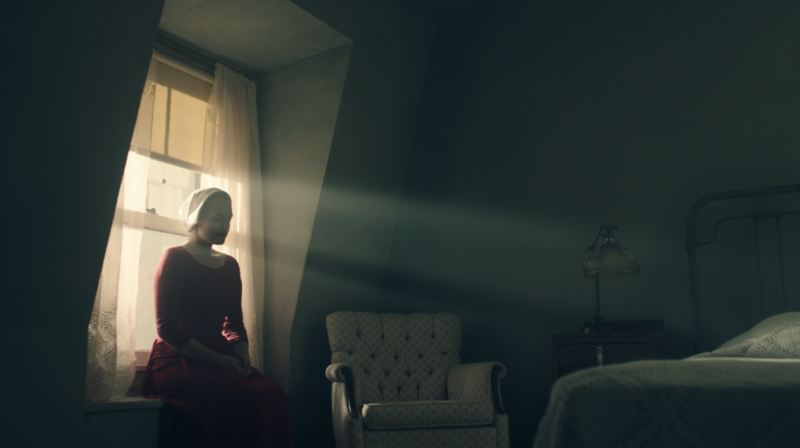 Hulu has quietly been making a name for itself in the original programming department with well-respected series like “Casual” and “The Path,” but the upcoming “The Handmaid’s Tale” might just be the original drama that pushes them to the next level. The involvement of director Reed Morano (who’s indie debut “Meadowland” was one of last year’s overlooked gems) and “Mad Men” star Elisabeth Moss is a collaboration that’s impossible to ignore, and a quartet of first look photos have arrived that are simply gorgeous. 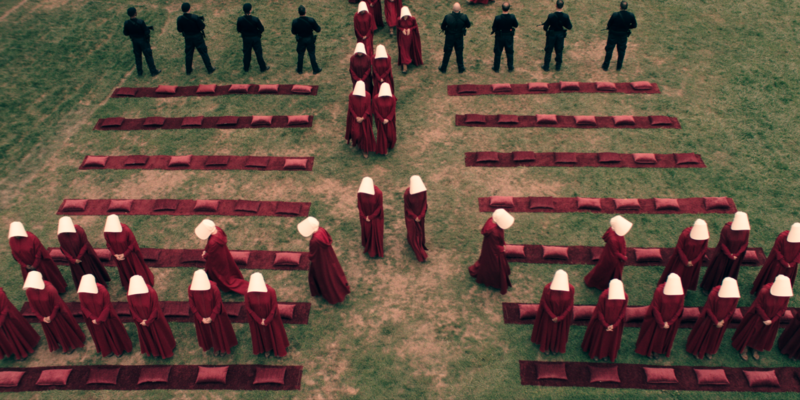 “The Handmaid’s Tale” is based on the Margaret Atwood novel of the same name. Moss stars as a handmaid named Offred who is trying to survive in a male-dominated totalitarian regime. She is one of the few remaining fertile women who is forced into sexual servitude as a last desperate attempt to repopulate the world. Offred will go from one miserable situation to the next in hopes of surviving and finding the daughter that was taken from her. The supporting cast includes Joseph Fiennes, Yvonne Strahovski, Samira Wiley, Max Minghella, Madeline Brewer, Ann Dowd and O-T Fagbenle. The 10-episode first season will premiere in April 2017. Check out the first look photos below.